Stanley M. Vasiliadis Esquire, CELA is certified as an elder law attorney by the National Elder Law Foundation, as accredited by the Pennsylvania Supreme Court. He represents clients in connection with long-term care planning, trust and estate administration, and estate and tax planning. His practice also includes elder law litigation in state and federal court, including successful representation in the landmark case, Mertz v. Houstoun, 155 F. Supp. 2d 415 (E.D. Pa. 2001). A graduate of Lehigh University, Mr. Vasiliadis received his law degree from Temple University in 1974. His affiliations include membership in the National Academy of Elder Law Attorneys and the Elder Law Section of the Pennsylvania Bar Association. He has been selected for inclusion in Pennsylvania Super Lawyers every year since 2005 and received the Excellence in Elder Law award from the Pennsylvania Bar Association’s Elder Law Section in 2013. 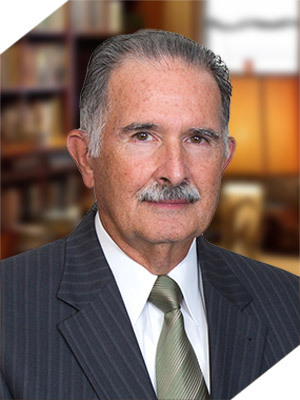 Mr. Vasiliadis is a frequent speaker on elder law and estate planning issues, having lectured on behalf of the National Academy of Elder Law Attorneys, the Pennsylvania Bar Institute and before various other professional organizations, including local Bar Associations, societies of public and certified public accountants, bank trust departments, and insurance companies. He has also authored numerous articles. His past legal experience includes service as a major in the United States Army, Judge Advocate General Corps and, in private practice, as a criminal and civil trial attorney in state and federal court. The National Elder Law Foundation is the only organization in the United States authorized to certify specialists in the field of Elder Law. It issues the designation “Certified Elder Law Attorney,” or “CELA,” only to lawyers who have met rigorous criteria. These involve an elaborate screening process that includes passing a written examination, documenting extensive actual case experience in the elder law field, obtaining peer references, and participating in continuing legal education. The Pennsylvania Supreme Court recognizes elder law as a legal specialty. It is a field of legal practice that concentrates on the legal, financial, housing, and health care needs of seniors and incapacitated persons. It includes estate planning, wills, probate, trusts, guardianships, powers of attorney and health care directives, retirement planning, and asset protection from taxes and nursing home costs. At this time, there are approximately thirty Certified Elder Law Attorneys in Pennsylvania. The “CELA” professional designation provides a measure of assurance to the public that the attorney has an in-depth working knowledge of the legal issues that impact the elderly.